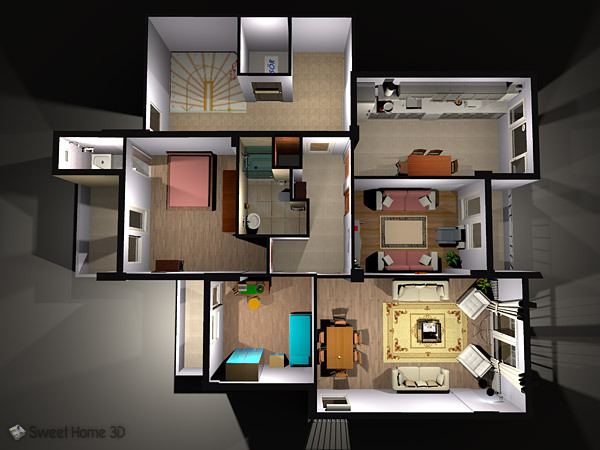 Sweet Home 3D is a one-of-a-kind software that enables you to make your house plans along with furniture placement. 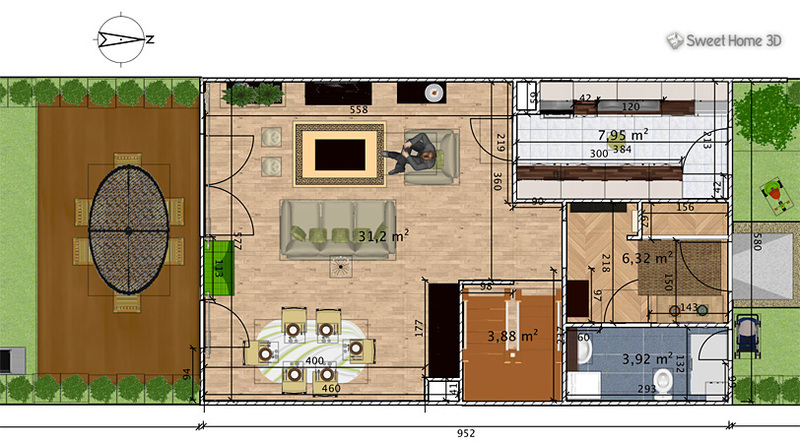 It’s a free application using which you can make 2D floor plans of your house and have a 3D preview. This program is for all the creative people out there who do their own interior designing and need a quick and easy access to visualize how their thoughts of house designing would look like in reality. In case, are moving in to your new house or you would just like to redesign your existing home, this software serves the purpose! Using the software is very simple; you start by drawing the walls of your home on the plan and later you use the drag and drop feature for furniture from a catalogue of different categories of furniture available to you. Each of your plans will automatically be rendered in a 3D view for you to see in a realistic form. It is also available 25 different languages for users’ convenience. 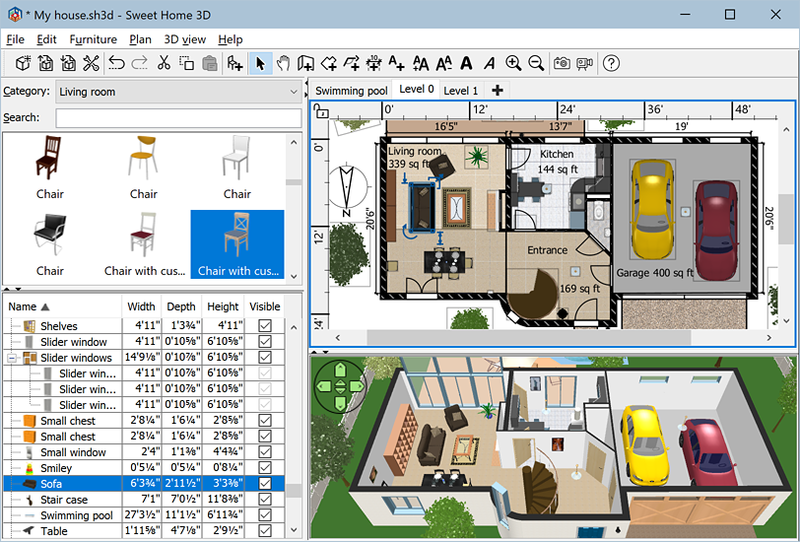 Moreover, you may also work on the online software Sweet Home 3D Online to plan your home working on the same features as the downloadable versions. However, it will save your home plan designs on the website rather than your systems once you are registered. This feature contains all the objects that you may need to furnish your home. These are organized nicely in defined categories so they remain easily accessible to users. This list is of all your existing furniture along with their names, dimensions and other characteristics. This feature displays your home as is. The view is from the top within grids that have rules displayed. Here, users draw the house walls and arrange furniture as per their liking. Finally, you get to see your home in 3D under this feature. You have options to see it from the top or how a visitor would see it. All above features are open to undo and redo so you may achieve the interior deigning to perfection or see the arrangement of your furniture from multiple approaches. What do you think about Sweet Home 3D? Sweet Home 3D 6.1 Jan 22, 2019 Managed the selection toggling of an item in the furniture list without losing the selection of other items in the plan. 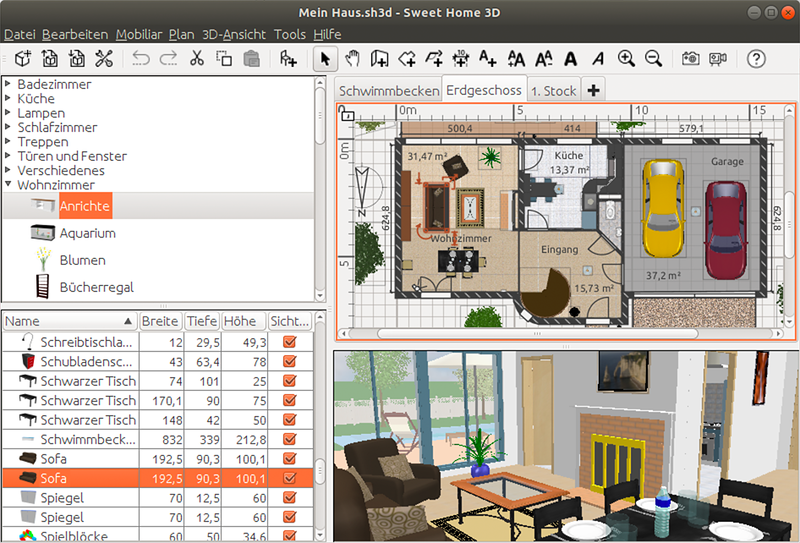 Sweet Home 3D 6.0 Oct 15, 2018 Added the ability to rotate and slide openings and lights. Sweet Home 3D 5.6 Oct 26, 2017 Fixed a bug that prevented to export to CSV format.